Considering NOA has taken them down, they must be real. Yeah i agree, dinoking. The only humans who could leak this content would work for Nintendo. They would not have jobs after this. It would be a different story if we saw gameplay of fully rendered models and animations. Characters from the same series were not necessarily grouped together on the character select screen in past SSB games either though. The fact that Nintendo has taken the videos down seems to indicate it's more on the "real" side of the fence, but I guess we'll have to wait and see. I'd be a little disappointed if Ice Climbers are not part of the initial roster though. Just reporting what is out there. Come on buddy, there's actual footage showing Bowser Jr and Shulk in game. This is real. 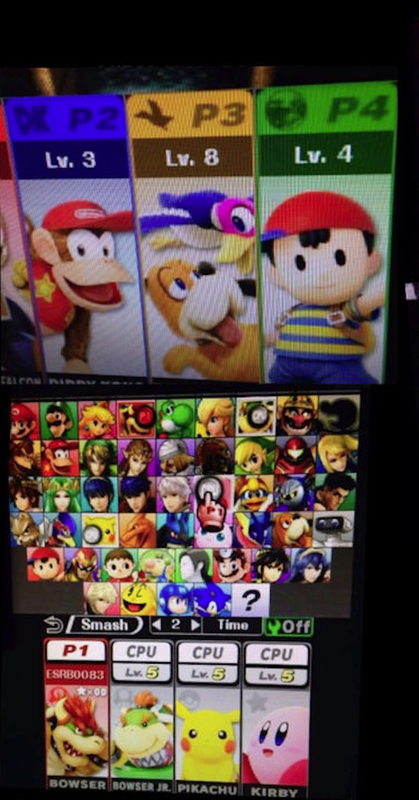 dr mario, dark pit & lucina are reskins, which is why they are grouped separately (also, likely to be later unlocks). My biggest suspicion is around the separate screen for selecting Mii Fighter, which I hadn't heard about before. The best argument would be because they have more diverse movesets, however Palutena also has a "pick your own" move set, and she made the roster page, so I would think that's the main tell. 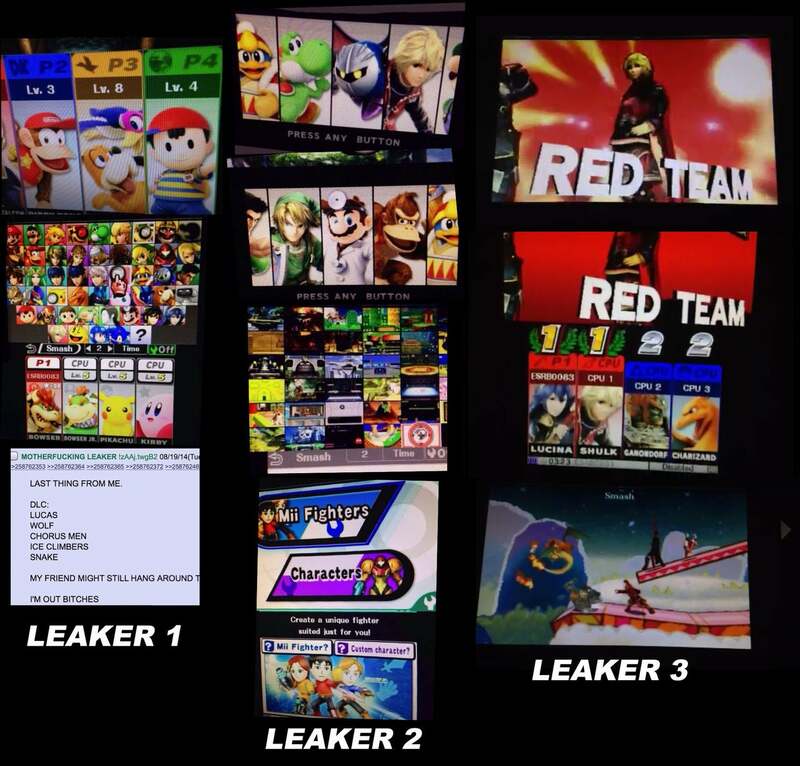 Dude... there is footage of the game in action... it pretty much confirms the other leaks, i don't think you can deny it any more. Also the "No one is grouped together correctly" doesn't hold up, it's most likely all the characters haven't been unlocked on the character select screen, which like in brawl, made the order look wrong. 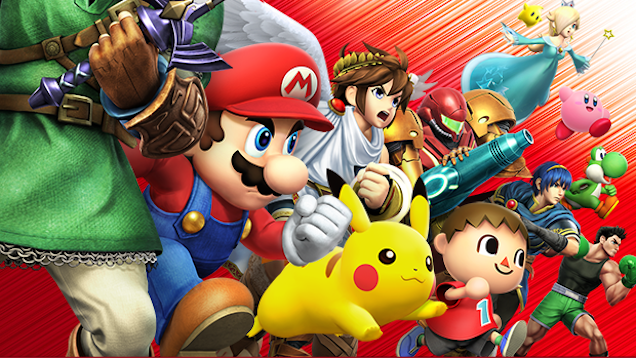 Also in Melee Ganondorf was next to Captain Falcon, not next to his LoZ buddies. I for one welcome our Duck Hunt Dog overlords. They should have kept melees roster. Nothing more. Where is Toad??? I felt for certain he would finally get put in Smash Bros, they chuck him in everything else. He's part of Peach's moveset. Oh I definitely agree. I'd love to see him as a playable character. I'm hoping the Duck Hunt Dog and Duck function in a similar fashion to Banjo Kazooie did back in there day. It would be a sweet little homage to previous Nintendo Characters.